Plant Magic Plus products are designed to naturally enhance the growth, development and overall health of our planets most important forms of life………Plants. Plant Magic Plus commitment is to provide products that will increase soil fertility, nutrition and microbial activity, bringing together many elements from nature; from beneficial fungi and bacteria to natural stimulants. Their products will ‘promote healthy plant growth’ far better than nature itself could ever hope for. This ensures that your fruiting crops receive the correct amount of major and macro nutrients as well as ample of required trace elements that may otherwise be non existent in other conventional nutrients. The key benefit of having a nutrient specifically for hard or soft water supply means it requires minimal ph adjustment. Adjusting pH with phosphoric acid is time consuming and will effect the balance of NPK in your nutrient solution. Use a nutrient that WILL work with your water supply. Plant Magic Plus Enzyme a none bacteria based enzyme supplement to break down dead roots and other organic matter that's then turned into food that's readily available to the plants root system. Plant Magic Plus PYTH Tabz is a tank/reservoir cleaner, designed to get rid of harmful fungi and other bacterial pathogens, helping to keep your plants safe from disease and healthy. Specially developed to promote healthy, strong fruit and flowers. Amazing and unique generation of plant nutrition - Oldtimer Organic. Specially developed to promote fast growth, healthy fruit and flowers. 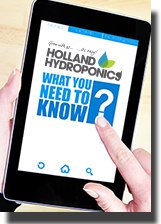 Specially developed for use throughout the vegetative and flowering stages. Plant Magic Plus Flush has been developed specially for the UK market bringing you the best flushing agent for your harvest. Use it to remove any metallic tastes from your crop, enhancing both flavour and aroma. Plant Magic Plus Soil Supreme is a special blend of Fytocell foam and Organic Growth Stimulant that ensures plants benefit from a superior root environment, leading to rapid root development for an improved uptake of vital nutrients and elements.